FREDERICTON (GNB) – Noted environmental expert Professor Louis LaPierre, who has a doctorate in biology, will chair a panel that will carry out a citizen engagement tour in June to obtain feedback on the discussion paper Responsible Environmental Management of Oil and Gas Activities in New Brunswick. 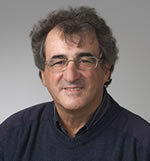 LaPierre has been Professor Emeritus in Biology at the Université de Moncton since October 2003. At this same university, he was holder of the K.C. Irving Chair in Sustainable Development (Chaire K.-C.-Irving en développement durable) from 1993 to 2001; professor of Wildlife and Environmental Ecology from 1970 to 1999; and director of the Masters in Environmental Studies program from 1994 to 1999. Between 1990 and 1994, he was also director of the university's Environmental Science Research Centre. On May 17, the provincial government released the discussion paper, which contains 116 recommendations designed to ensure the responsible environmental management of the oil and natural gas industry. The recommendations include proposals to complement the province's existing regulatory framework. The government also released a new royalty and revenue-sharing discussion paper with proposals that would see individuals and communities benefit if there is an expanded natural gas industry in New Brunswick in the future. In addition, the government announced a new administration penalty system that would put in place a maximum fine of $1 million for companies that violate the Oil and Natural Gas Act. The provincial government will receive comments on the discussion papers until July 18. The documents as well as contact information for comments can be found online (hotlink to www.gnb.ca/naturalgas). The citizen engagement tour will contain two types of formats for the public to participate. At each meeting, from 4:30 p.m. to 6 p.m., there will be a Public Open House where anyone can drop in and speak to members of the Natural Gas Group about exploration, development or any other related topic of interest. There will be written material on hand and information booths. From 6:30 p.m. to 8:30 p.m., a public meeting will be held. The Natural Gas Group will deliver a 30-minute presentation to the audience and questions and answers will follow. In addition to these meetings, any groups or associations that would like to meet privately with LaPierre and his team are asked to email their request to naturalgas@gnb.ca.